Here's this year's lineup of fabulous performers! Grammy-winning Funk and Hip Hop for Families. 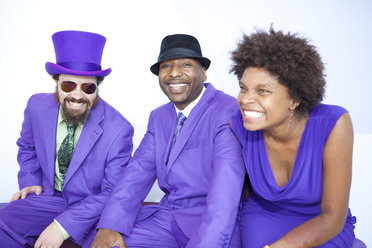 2017 Winner of the Grammy for the Best Children's Album, 23 Skidoo brings you family hip-hop featuring rapping, singing, sweet harmonies, Motown-inspired dance moves, and classy purple suits. "Secret Agent 23 Skidoo has married the complex beats of hip-hop with the magical world of kids." 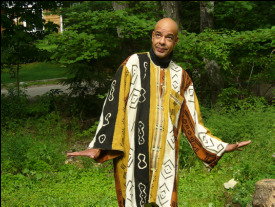 "Secret Agent 23 Skidoo is changing the face of rap music for young kids. We can't wait to see what he brings to the stage next!" "The absolute best Kid Hop!" Rescue dogs! Slapstick! A skateboarding bassett hound! What more can you ask?!? "[The dogs] look like 'the dog next door.'" 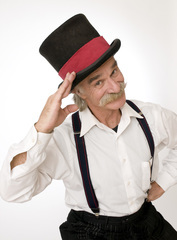 "Johnny puts on a family-friendly show that all ages find entertaining." 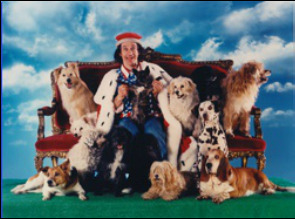 ​"A truly funny, slapstick dog act." 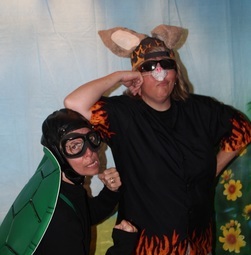 Long a Super Saturday favorite, Porkchop Productions offers once again their own very funny take on a classic fable. "I can't begin to tell you how much my children enjoyed your performance. They spent the rest of the day reliving the scenes over and over again." "[Your productions] are just hysterical! " "The Tree and the Donkey Who Loved to Sing"
Bilingual story celebrating multiple facets of Mexican music and dance. 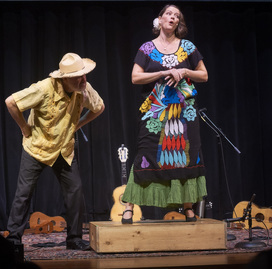 "The lively dancing, singing, and bilingual storytelling delighted everyone...from the very youngest children to seniors." "The music from the various regions of Mexico is enchanting." We are delighted to welcome Rocha back to Super Saturday! In this program get ready for a wild trip into the jungles of Brazil and Africa, complete with fantastic sound effects, exquisite mime moves, and fun-filled characters. "His meticulous preparation, warm stage presence and tremendous talent blend to lend his performance an aura of magic." "He uses every tool at his disposal--his face, his voice, his body--in service of the tale to be told." "Rocha not only plays his characters, he seems to be possessed by them!" Large-scale puppet show bringing puppet love to the world! From giant babies to exquisite wolves, old grannies to cute mice and bunnies, there is something in this interactive show for everyone! 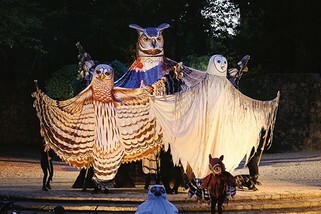 "The Paperhand Puppet Intervention is a glorious way to spend the early part of an evening." "All of us were awake. But it felt like a dream, the kind where nothing makes sense, and everything does." 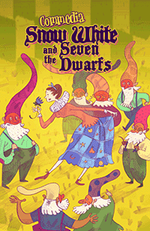 "Commedia Snow White and the Seven Dwarfs"
The Taradiddle Players have long been Super Saturday favorites. 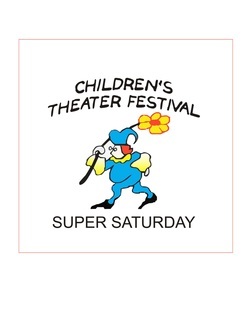 In their new incarnation as Children's Theater of Charlotte, they return to Super Saturday to present a Commedia dell' arte take on the classic Brothers Grimm story. In this version, a group of traveling actors performs with slapstick, silliness, and great masks! ​"Mystery and History of Magic"
A fast-paced show exploring the mysteries and history of Magic. Heroes of the magic world are introduced along with their famous illusions as Mr. Fish utilizes the skills and magic tricks he learned as a circus performer to reveal the scientific concepts behind them. Contemporary twist to the American circus tradition. "This was not any circus I had seen before. It was the circus I had been waiting for." "The Other Greatest Show on Earth!" "A Bindlestiff Family Cirkus performance is not a normal night out at the theater."